In this video, we'll explore how to use comments to engage your visitors in conversation. Comments are an important feature of blogs because they allow your readers to respond to your posts and interact with you, the author. This gives your readers the opportunity to share their own thoughts or questions about the content of your post, but your readers may also provide links to other resources, generate discussion, or simply compliment you for a well-written post. The Activity module on the Dashboard informs us that there are two new comments in response to our blog posts. Comments that are awaiting moderation are highlighted to catch your attention. From here, we can easily Approve, Reply to, Edit, mark as Spam, or move a comment to the Trash. Previously approved comments can also be unapproved at any time. Now, this commentor has accidentally misspelled our company's name, so I'll Edit this comment correcting the typo, and then I'll also approve it before clicking the Update button. Now I'll post a quick reply to this commentor. Clicking the View link will take us to the public view of the post on which this comment and our new reply will appear. Now, because I'm currently logged in, you'll notice that WordPress recognizes me and presents me with only the Comment field. But if I log out, we'll see the comment form as it appears to our readers, with the name and e-mail fields also being required. This gives you an added level of security before someone is able to post a comment to your blog. In the Comments sub-panel, you can perform all the same functions in addition to being able to bulk edit comments. Multiple comments can be unapproved and approved at once, marked as spam, or moved to the trash.At the top of the Comments sub-panel, you can filter comments to show only Comments made on your site, or Pings, which are comments made on another blogger website in which they link to your article. If you've enabled pingbacks and trackbacks in your settings, they'll appear alongside the comments just underneath your posts. Comments can be controlled and regulated through the use of filters for language and content, before they're visible on your website. This is helpful for blocking comment spam, which unfortunately can become a real hassle. To change these settings, visit the Discussions sub-panel under Settings. 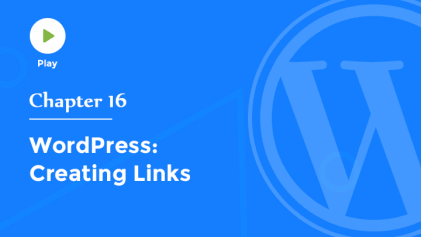 We just talked about pingbacks and trackbacks, which are essentially links to your blog posts from another website. You can choose whether you'd like to send these notifications to other sites when you link to them, and if you'd like to receive incoming pingbacks, which again will show up alongside other comments just underneath your posts. It's a good idea to allow people to post comments on your articles by default. This is how you encourage discussion and create a sense of community on your site. I usually choose to require the comment author to fill out their name and e-mail address, but I don't normally require that they also be registered and logged in to comment. Make it as easy as possible for folks to enter the conversation because, like you, they probably already have too many log ins to deal with, so let's not require them to register or log in to our site just to post a comment. You can automatically close comments on articles after a certain number of days, and you can also enable threaded, or nested, comments up to 10 levels deep. This helps people to view responses to a particular comment as a group instead of scattered throughout the entire page. If your blog becomes really popular, you may wanna break up your comments into more than one page, and you can choose to display your comments with the oldest or the newest comments at the top. You can choose to be notified by e-mail whenever someone posts a comment, or at least when a comment is held for moderation. And before a comment is published on your site, you can choose to have an administrator always approve the comment, or you can choose to automatically approve it provided the commentor has had at least one previously approved comment. If a comment contains two or more links, which is a common characteristic of spam, then we can choose to hold it for manual approval. You can also hold comments for moderation if they contain any of the words that you enter into this field. If you like, you can enter a list of commonly used spam words into either this field, or the Comment Blacklist, which works in pretty much the same way, except comments that contain any of these words will automatically be marked as spam rather than being simply held for moderation. And last, you can enable or disable avatars, those little icons or images that appear next to an individual's comments on your articles. You can choose a maximum rating for these profile images, and even select a default avatar to use if the commentor hasn't already created their own. By the way, if you haven't aland create your own Gravatar today.Then, whenever you post a commentready created a profile image for yourself, visit Gravatar.com and create your own Gravatar today. 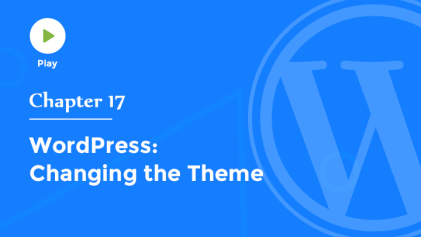 Then, whenever you post a comment on any WordPress-powered blog, With these settings in place, you'll be ready to engage your readers in meaningful two-way conversation.